My new obsession is holographic nail polishes, especially from Color Club. 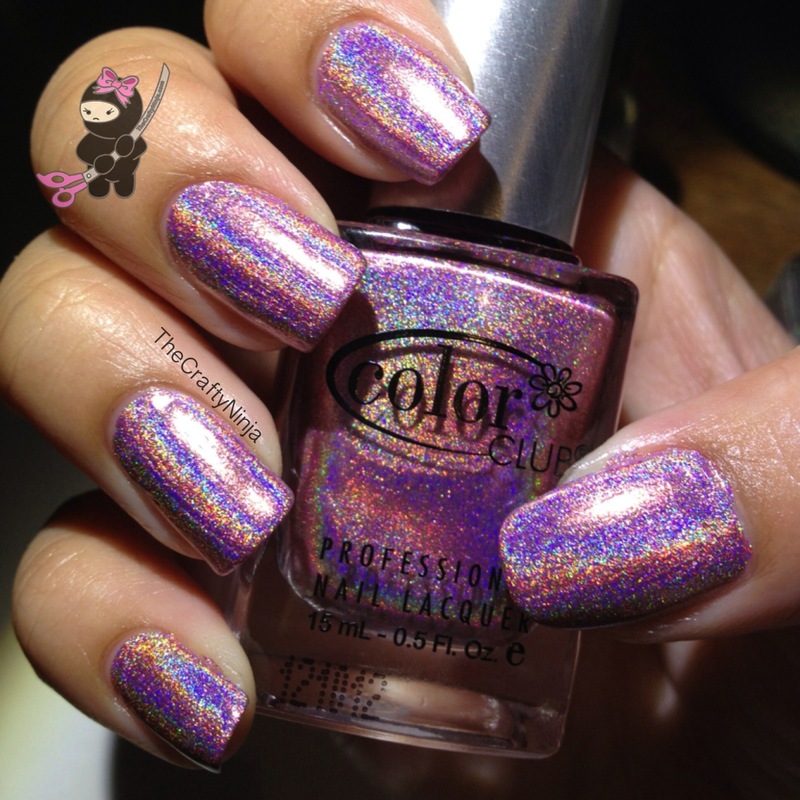 This a pink holographic polish called Halo-Graphic, purchase here. 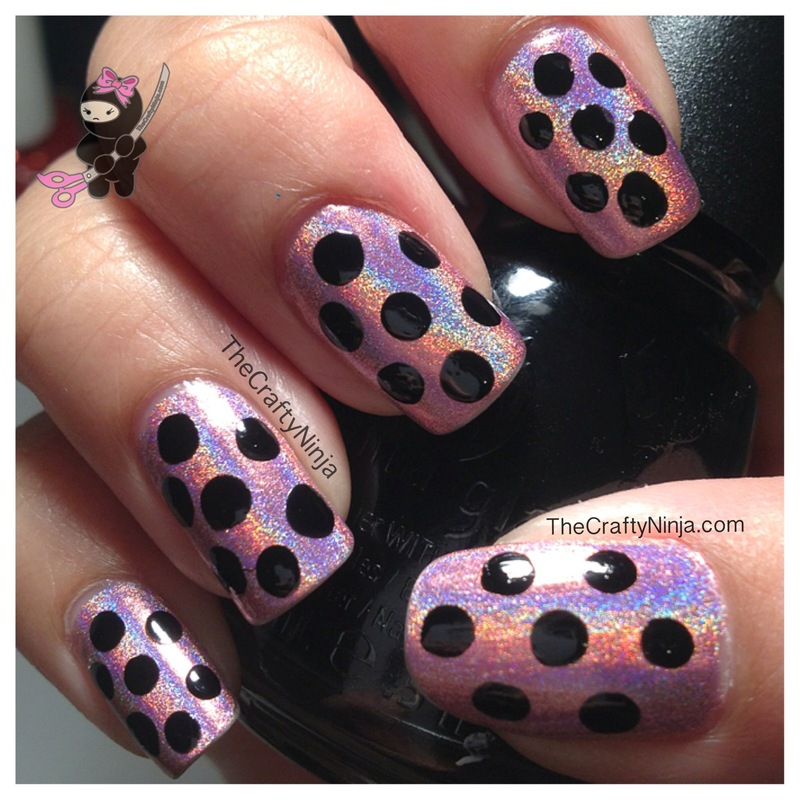 I also used a nail dotting tool, purchase here, to create the polka dots, and China Glaze Liquid Leather for the black polish. Check out my YouTube tutorial below. 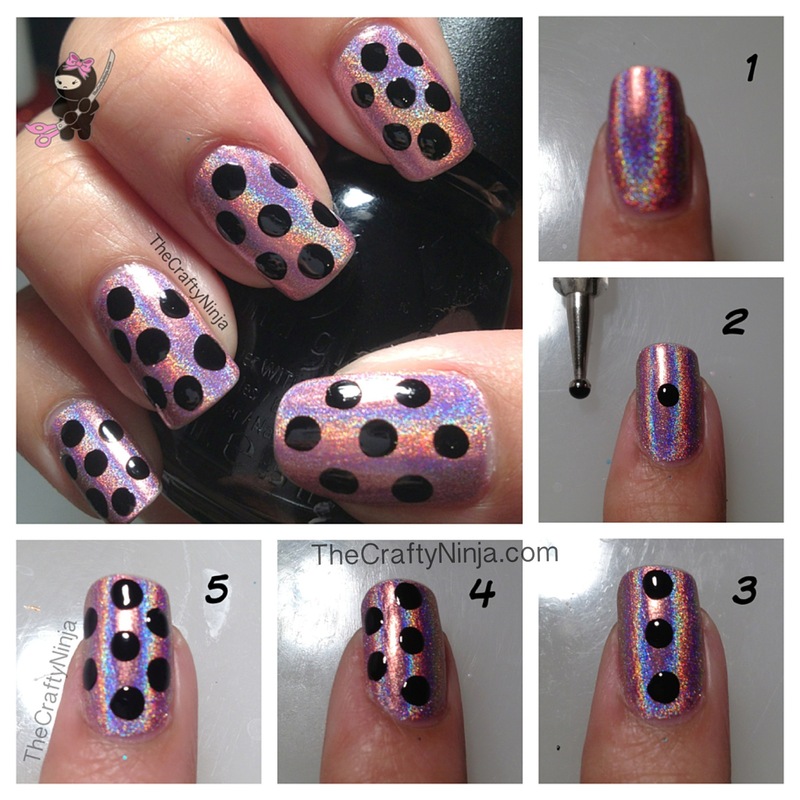 Color Club Halo-Graphic, you can purchase this polish here.